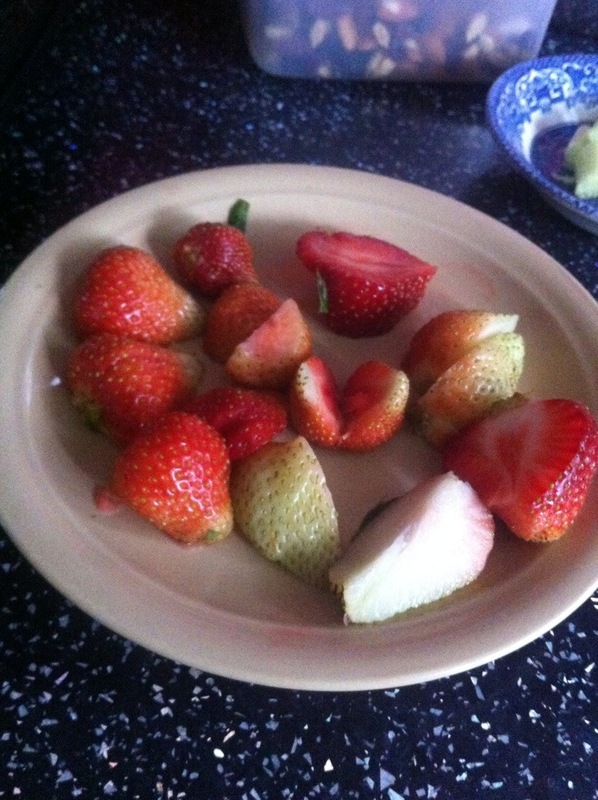 First ever official crop of strawberries. Only a handful, that Ma rescued from the slimers. Not all red, as they are only just on the turn. Well, they taste of strawberries!